The Path Less Traveled Series is an inspiring interview style web series spotlighting millennial entrepreneurs. Each episode is packed with actionable advice on how to turn your passion into a lucrative career. Hosted by former BET Correspondent, Neffy Anderson, The Path Less Traveled Series serves as a solution for creatives, entrepreneurs and small business owners looking to monetize their skills and make a name for themselves outside of their 9 to 5. Limited seating is available, reserve yours now. THIS IS EXACTLY WHAT YOU'VE BEEN WAITING FOR! Share your story and get personalized advice on how to start, run or grow your business. Build your network and connect with other entrepreneurs and industry thought leaders. Get out of your own way with a FREE guide on how to start monetizing your passion. Melissa Kimble is a Digital and Social Media Strategist and Writer who believes in using social media for good through education and empowerment. As the Founder of #blkcreatives, a digital media platform for the young, professional and Black creative with a mission to shift the culture from the inside out, Melissa has created the premier Twitter chat for Black millennials. As she pivots the brand into a business, she is quickly building the brand into a primary resource at the intersection of culture, careers and community. Melissa has worked with small businesses, major brands, mission driven startups, entrepreneurs, and creatives to share their brand stories through social media campaigns and consultations, handling social media for live events, brand ambassador, influencer programs and more. Her past work includes EBONY Magazine, Golin Harris, Burrell Communications, McDonald’s, the NFL, ORS Olive Oil, American Family Insurance and OWN TV’s Black Love Doc. Where's this event being held? Tickets are FREE but an RSVP is required per guest! We've waived the costs for Black History Month so get your tickets while they last. Whatever makes you feel confident and camera ready. Besides your cell phone and positive vibes? Business cards or any other promo items/ product samples from your business or your brand if you have any. Where can I watch past episodes? With 6 years of professional experience spanning television, digital, print, and radio, Neffy balances a career both in front and behind the camera as the creator, producer, and host of her very own show, The Path Less Traveled Series, a web series that exclusively spotlights millennial entrepreneurs. 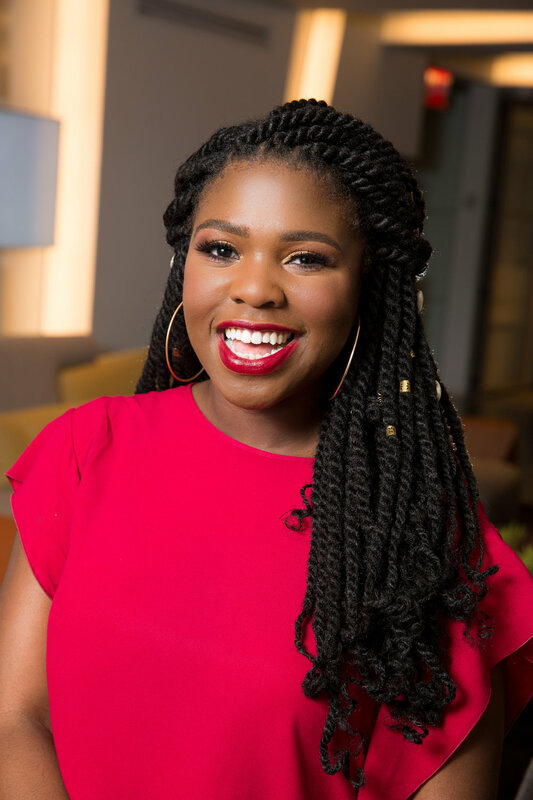 Named as one of Innov8tiv Magazine’s “Top 100 Women Visionary Leaders to Watch,” Neffy has been recognized for her work by national outlets such as the American Marketing Association, Z100’s Elvis Duran Morning Show, Blavity, Mediabistro and more. Neffy’s global reach and ability to remain relevant in a changing world has allowed her to work with clients such as Adelphi University, Adweek and The Jasmine Brand. Binge watch past episodes of The Path Less Traveled Series below and subscribe to YouTube.com/NeffyAnderson so you never miss an episode!